Every day social workers strive to do their best for the children and young people they work with and for. That they continue to do this in a highly critical external environment is humbling. Social workers deserve to work in a council that understands that and in York we seek to be that council. We have a powerful vision for children’s social work but you’ve probably heard that line from umpteen councils before. So I’m not going to waste your time telling you about how our belief in the value of social work runs through City of York Council like letters in a stick of rock, even though it does. Instead, I want to tell you about how our belief in social work as a valuable and noble profession translates into the way we work. Take our Referral and Assessment Service. We know social workers play a critical role in responding to child in need and safeguarding referrals, and that’s why all first contacts with children’s social care in York are with a social worker and we don’t have a MASH. And when we do identify a child in need we have a service for them that has attracted national acclaim. The service makes the very best use of our valuable social work resource, identifying those tasks which need a qualified social worker and those which don’t. Doing this allows our social workers to concentrate on what they do best. All our child in need plans also have oversight from an independent reviewing officer. Here’s another example: We have social workers doing social work. We understand that even for the most vulnerable children the critical relationships they have are with parents and family members and that we need to effect change within these relationships. This is the essence of social work: using the social worker/service user relationship as the catalyst for change. Such work is highly demanding and so at York we work to ensure that our social workers get the support they need. Our social workers agree – during our recent Ofsted they told inspectors that they feel “valued, safe and supported”. We are also introducing new models of practice for social workers. In support of the relationship-based approach, we are introducing an evidence-based psycho-social model of assessment to make sure we retain a clear focus on parental capacity to change. For those children who need to be in local authority care we know they are more likely to succeed if they live within their local area with minimal disruption to their familial links, health and schooling. 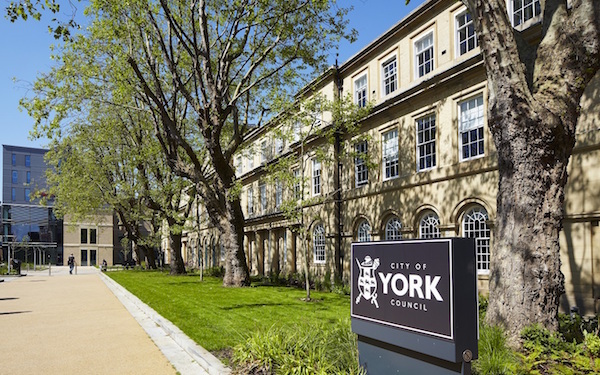 In York our ‘Making York Home’ partnership seeks to provide the right emotional, practical and professional support to foster carers and connected persons to ensure they can provide safe, stable and caring homes for children. These principles have resulted in a fresh way of working and the creation of our integrated Achieving Permanence Service. All these significant changes are innovations that are here to stay. They happened because of our ambition and determination to achieve better outcomes for children, rather than because of here-today, gone-tomorrow external funding. We are proud of what our social workers have achieved so far – but this exciting journey is only just starting. Why don’t you join us?